Then I lifted up mine eyes, and looked, and behold a certain man clothed in linen, whose loins were girded with fine gold of Uphaz: His body also was like the beryl, and his face as the appearance of lightning, and his eyes as lamps of fire, and his arms and his feet like in colour to polished brass, and the voice of his words like the voice of a multitude. (Daniel 10:5-6) Daniel is told not to fear, and then promised that he will see what will happen in the future (Daniel 10:14). Daniel 11 is a vision of a battle between Antiochus Epiphanes, “the king of the north” and the king of Egypt, “the king of the south.” This vision is significant because it emphasizes the importance of staying true to the covenant and not giving in to the evil that surrounds us. To the Jews at the time that this vision was disseminated, Antiochus was defiling the temple, and oppressing the Jewish people. This vision was meant to encourage these people to be faithful and true to their covenants with God. While the final prediction regarding Antiochus Epiphanes is an unfulfilled prophecy, (he isn’t killed in the land of Israel) the overall message was one of encouragement and faith. Antiochus IV Epiphanes at the Altes Museum in Berlin. 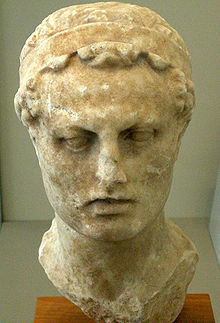 Antiochus reigned as the Seleucid emporer from 175-164 BCE. Daniel 11:21 mentions that “a contemptible person” will arise. This is Antiochus Epiphanes. Verses 25-28 describe Epiphane’s first invasion of Egypt, which took place in 170 BCE and was relatively successful. Verse 29 described the second invasion of Egypt in 169, which was a disaster. He was confronted by the Romans (the Chittim- Daniel 11:30) and ordered to withdraw. He obeyed. Daniel implies that he took his frustration on Jerusalem. While the king was in Egypt, civil war had broken out in Jerusalem between the former high priest, Jason, and the current one, Menelaus (see 2 Maccabees 5:5-14). The king took it that Judea was in revolt and sent in the troops. After this, for reasons that remain controversial, Antiochus attempted to suppress the Jewish religious leaders in Jerusalem and their sacrificial practices. Some Jews collaborated with Antiochus. Daniel says, “He shall seduce with intrigue those who violate the covenant” (11:32). There are some clues embedded into this text which may help readers to better understand why and when this text was written. These chapters in the book of Daniel can be confusing for readers unless they have an idea as to the context of this vision. The people who know their God, however, stand firm. The real heroes, from the standpoint of Daniel, are the “wise” (Hebrew maskilim) who instruct the common people, even though some of them do so at he cost of their lives. It is reasonable to suppose that the authors of Daniel belonged to the circle of the “wise.” The instruction they gave to the masses presumably corresponded to the revelations of Daniel: that the human conflicts were only a reflection of conflicts on the supernatural level, and that the outcome was assured. Some scholars have argued that “the wise” should be identified with the party known as the Hasidim, how are mentioned three times in the books of Maccabees (1 Macc. 2:42; 7:12-13; 2 Macc. 14:6). We know very little about these people, except that they were militant supporters of the Maccabees. Daniel 11:34 says that the wise shall receive little help. This has often been interpreted as a slighting reference to the Maccabees. It is not clear, however, that Daniel would have regarded the Maccabees as any help at all. In his view, the battle would be won by the archangel Michael. The role of the Jews was to keep themselves pure and not do anything to obstruct their heavenly deliverer. Daniel 11:40-45 describes the downfall of the king. Verse 45 claims that he would meet his death between the sea and the holy mountain, that is, in the land of Israel. This prophecy was not fulfilled. Antiochus Epiphanes died in Persia from wounds received in an attempt to rob a temple late in 164 BCE. The unfulfilled prophecy reveals the date of the composition of Daniel. All of the “predictions” are correct down to the persecution. This part of the prophecy was presumably written after the fact and served to inspire confidence in the real prediction of the end of the story, which was yet to come. The prophecy must have been written before the news of Antiochus’ death reached Jerusalem. The death of the king is not the climax of the prophecy. According to Daniel 12:1-3, “At that time Michael, the great prince, the protector of your people, shall arise.” Then all those written in the book of life would be delivered. Some would rise to everlasting life and some to everlasting contempt. The wise would shine like the stars forever. We know from a passage in 1 Enoch 104 that “to shine like the stars” means “to become companions of the angels.” The idea of astral immortality, that some suols ascend to the stars after death, was well known in the Greek world. Daniel does not say that everyone will be raised, only the righteous and the wicked. Neither does he say that the resurrection will involve a body of flesh and blood. Daniel 12:2, which is usually taken to refer to “the dust of the earth,” can better be translated as “the land of the dust,” or Sheol. The idea then is that the wise, at least, are lifted up from Sheol to heaven. This chapter is the conclusion of Daniel’s fourth apocalyptic vision, comprising chapters 10-12. In this part of the vision, Daniel sees Michael rise up with the righteous and take control of the earth. Daniel sees the resurrection of both the wicked and the righteous (Daniel 12:2-3). When read in concert with other scriptures, this passage offers hope for a better world. The end of the chapter can be enigmatic to say the least. Did the author of this text believe that after 1,290 days (Daniel 12:11) that the end times would come and the righteous would sweep away the wicked? Was it to be after 1,335 days? (Daniel 12:12) What do these verses mean? One thing is certain: the author of this concluding vision believed that the kingdom of God would come and that the wicked would be swept away, with the mighty deliverance of the righteous followers of God. John Collins, A short introduction to the Hebrew Bible, Fortress Press, 2007, p. 286-287. 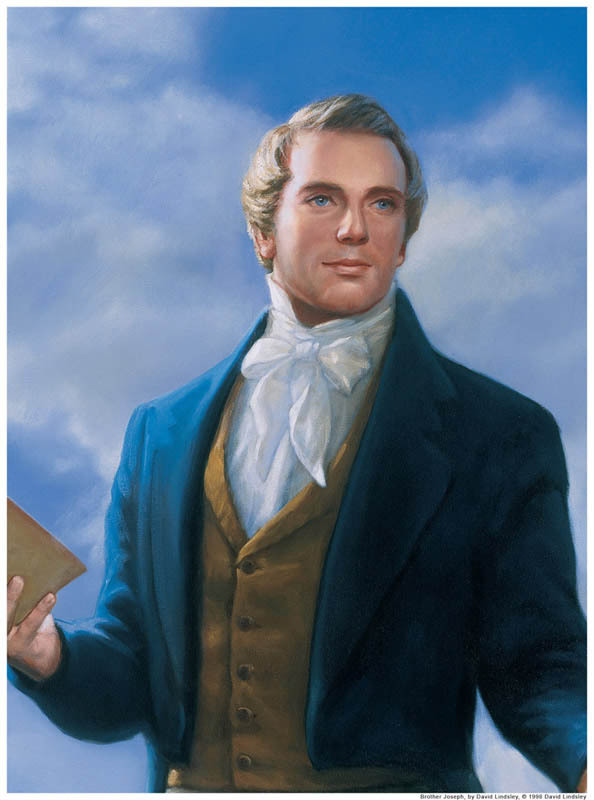 Andrew Ehat and Lyndon Cook, The Words of Joseph Smith, Bookcraft, 1980, 367 (discourse of 12 May 1844). See also: David Whitaker, The Book of Daniel in Early Mormon Thought, in By Study and Also by Faith, volume 1. This entry was posted in Apocalyptic Literature, Old Testament, Visions and tagged Apocalyptic Literature, Daniel, Daniel 10-12, Old Testament. Bookmark the permalink.